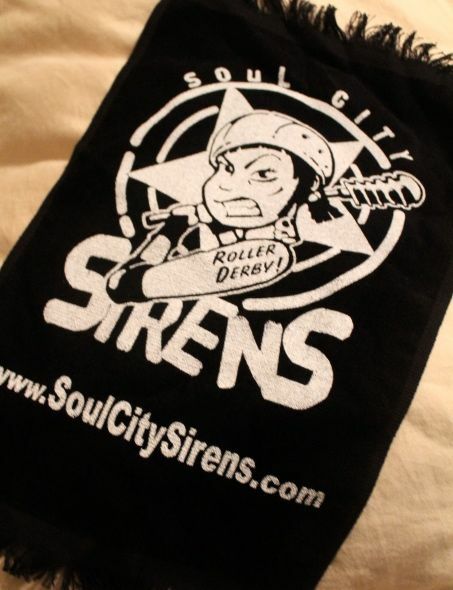 Last weekend Helsinki Roller Derby hosted a citywide home team bout at Pasila Sports Hall. An audience of 250 people cheered for their teams as 4 home teams from Helsinki Roller Derby and Kallio Rolling Rainbow–Saturday Fight Fever, Hurtta Lottas, Fisters of Mercy and Les Bombas–took part in the small tournament. There were new and old faces on the teams, including players and coaches. Each game was shortened to 2 x 20 minutes long instead of the normal 2 x 30 minutes to be able to fit all of the games in the tight schedule for the night. First face off was between HRD’s discoballs, the Saturday Fight Fevers, and military dogs, the Hurtta Lottas. The game started evenly, but soon SFF skated to the lead. The blockers were fighting for the front of the pack, which increased the speed of the pack with each jam. The Hurtta Lottas pulled ahead by halftime with a score of 57-45. In the second period the Hurtta Lottas beat the glitter out of SFF players and took a huge lead, adding up to almost 10 points in every jam. The Hurtta Lottas played well together, and they had many strong jammers. Finally, they won by a score of 128-79. Hurtta Lottas cleared their way to the finals, and SFF would later be fighting for 3rd place. KRR’s game was much more physical than HRD’s. Fisters of Mercy took the lead right from the beginning, and by halftime they were ahead of Les Bombas by 40 points. Jammers of both teams were tough, but unfortunately the roughness of the game led to a few concussions. The final score was 200-102 for FOM. 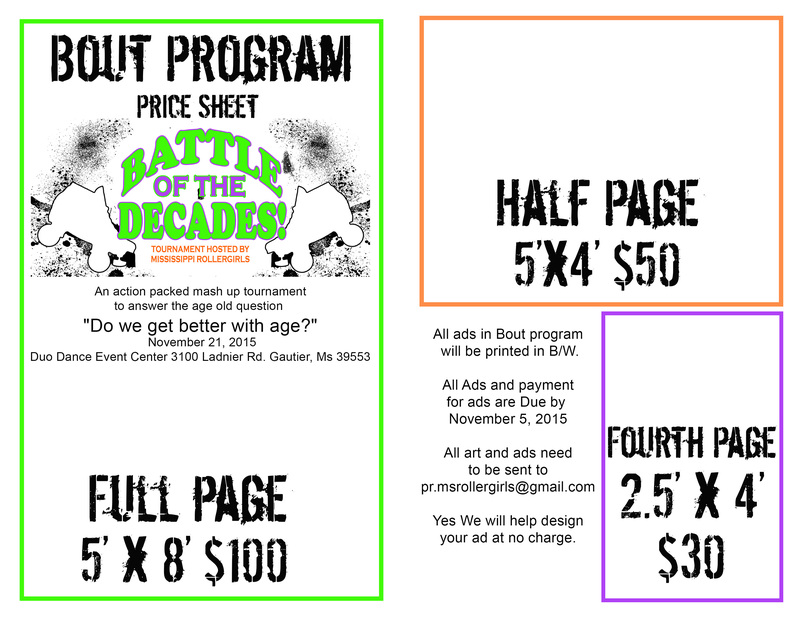 Like almost every roller derby tournament, the schedule was stretched thin, so the next game was cut down to 2 x 15 minutes. Regardless, the atmosphere during the game between SFF and Les Bombas was exciting and full of passion, like all HRD vs. KRR games are. Les Bombas unfortunately had to play this game with a short roster due to injuries in the previous game, while SFF had time to recover between games and were definitely geared up and ready to go. SFF had very strong sweeper walls (3 blockers in front, 1 swinging behind formation), with Menstruella hustling behind her fellow blockers and recycling Les Bomba’s jammers effectively. SFF’s jammers consisted of calm, cool and collected Vuokko, nimble Elli and blockers-turned-effective-jammers Ol’ Likainen, Emma and Retku. Three minutes before halftime SFF heard the jam whistle wrong and believed to have started a new jam until they realized the previous jam was still in play. SFF received a “too many players on the track” penalty, causing a long official review. Due to the long review, SFF seemed to have gotten distracted and gave Les Bombas a power jam, which evened the score. Soon after, SFF fought hard for a 20-point lead and kept that strength for the rest of the period. At halftime, the score was 53-30 for SFF. Les Bomba’s jammers were strong and kept the game interesting, not allowing SFF to back down for a moment. SFF managed to keep their momentum for the rest of the game and won 3rd place in the tournament with a score of 96-71. Before the finals, the sold-out lotteries were picked; the most sought-after prizes were tickets to Summer Sound and Flow Festival. Even though there was a reason to be, the Hurtta Lottas were not shaken when they lined up against the Fisters of Mercy for 1st place in the tournament. Fisters of Mercy had just built their confidence with a 100-point win over Les Bombas. The final game of the night was, however, very even, with Fisters of Mercy controlling the game by only a few points. A few power jams later, that few points led to a bigger lead, and they were gaining momentum against the Hurtta Lottas. In many cases both team’s jammers made it out of the pack at the same time, calling off the jam quickly so neither team scored any points. Finally, the Hurttas managed to gain control and take back the game with their quick jammer Jabba the D.O.G.G. who evened the game out to 31-34. Although the Hurttas had the Fisters of Mercy by the tail for a moment, FOM led by a score of 35-52 at halftime. After the break, the Fisters closed in the score difference by 30 points. Strong blockers on both teams fouled out of the game due to penalty problems: Lara for the Hurttas and Libresse Killer for the Fisters of Mercy. In this game, the maximum penalties were decreased to 5 due to the shorter periods. The Hurttas wouldn’t back down and never lost their strength as their jammers and defence worked hard, allowing them to gain their point advantage slowly but surely and without risk. Fisters of Mercy players started to look tired and were stuck on 87 points for a while with no point gains. Eventually a fatal power jam was given to the Hurttas as Firsters of Mercy’s jammer sat in the box, allowing the Hurttas to gain a point advantage of 91-87. With only a few minutes left in the game, it became more and more intense. Hurtta’s nerves stayed calm, and they took their points confidently with their jammer Kujala putting Fister of Mercy’s points on ice. The gold medal in this tournament went to the Hurtta Lottas with a final score of 107-93. Congratulations! Helsinki Roller Derby’s MVPs for this tournament went to Saturday Fight Fever’s speedy Retku and the Hurtta Lotta’s talented hitter Lara and the comeback kid who’s consistently strong Finn McCruel. Good Work! This amazing derby event was a great way to open the 2015 season! We’ll see you all at the next HRD game at the Finnish Cup’s first tournament of the year in Kuusankoski, Kouvola.